Get quality industrial painting for your industrial building. When you have an industrial building that needs to be painted, it can be difficult to find someone to do the job that has a lot of experience and is dependable. You want the job to be done right and for it to look good. You also will need to find industrial painters who have a lot of experience because industrial painting it can be tricky. At Prep-Rite Painting, we have all the skills to tackle your industrial painting job. We know how important it is that our industrial painters get the job done quickly and that it looks good. 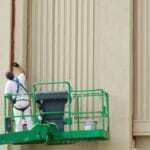 We have many years’ worth of experience painting industrial buildings inside and out. We have all the equipment and tools to get the job done quickly and efficiently. You can count on us to make sure everything is done to your liking and that you are satisfied with the work we do. We pride ourselves on our excellent work ethic and customer service. We will arrive on time and ready to work. We will work around your schedule and get the painting done when it is convenient for you. We understand that sometimes it can cost you money to shut down while we paint, which is why we will do our best to work with you and make sure we work fast. If you are in the Raleigh, North Carolina area and are interested in having industrial painting done, contact us today at Prep-Rite Painting. We can give you a quote and answer any questions that you might have. We offer affordable pricing to all of our customers. We are locally owned and operated and have great customer service. Our industrial painters can handle job no matter how big or how small. 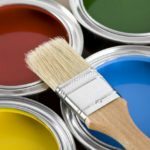 Our experienced painting crew will take great care of you.